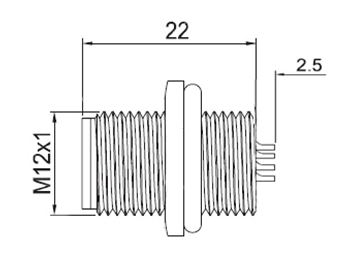 FLECONN can supply M12 4 Pin A Coding Connector, Male Plug, Rear Mounting Thread M12x1. Products Type: M12 Panel Mount Connector. Contact Body Type: Male. Coding Type: A, B, D Coding. Contacts: 4 5 6 8 12 pin Available. Installation Method: Rear Panel Mount. 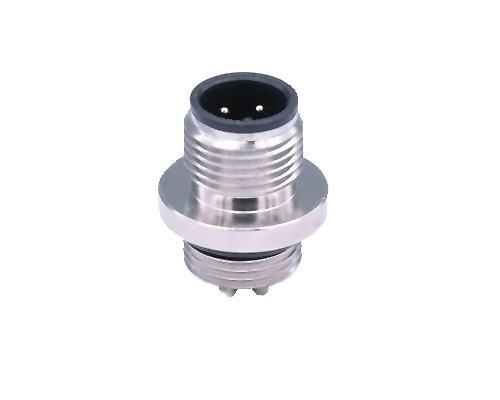 FLECONN can provide M12 4 pin A coding connector, male plug, rear mounting thread M12x1 for for industry automation sensor and actuator system.